Polaroid announced about a year ago that it was abandoning the technology of instant films,and shutting down its plants around the world. Although it made sense from a business standpoint, it was not only marking the end of an era but I also felt that digital photography was in no way a replacement for the instant film. Enters the Polaroid PoGo. It’s a 5 megapixel digital camera with a thermal printer built-in. 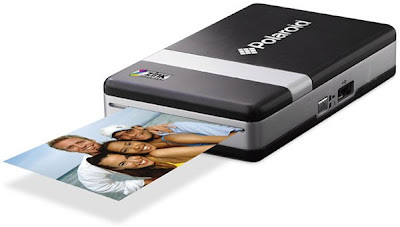 It allows you to take a photo, crop them and add a custom border including the classic Polaroid frame and then print it. Looking at the specs, the only downside is that you can only print about 20 photos per full battery charge.